In the world of keyboards, there are three major types of switches: membrane, scissor, and mechanical. Each style of switch has its pros and cons. Which one is right for you depends on your typing preferences and budget. The vast majority of home, office, and gaming keyboards can be characterized as “membrane keyboards”. They use a rubber membrane that runs underneath the entire keyboard. Underneath each individual key cap is a rubber “dome” that is depressed each time the key is pressed, providing the resistance for each key. When a key is pressed, the rubber membrane gives way and creates an electrical contact between two conductive layers, which closes the circuit thus registering a key press. 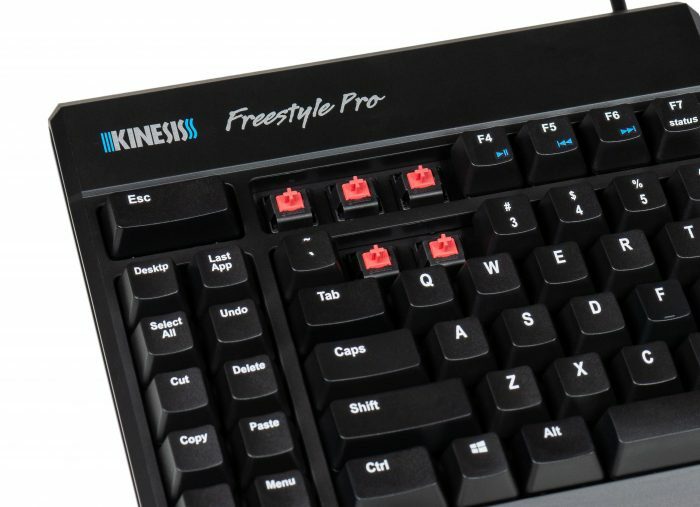 While membrane keyboards are often regarded with some disdain from mechanical keyboard purists, Kinesis invested significant resources to develop a membrane switch for our popular Freestyle2 split keyboard that approximated the feel of the Cherry MX Brown stem mechanical switch, which is known for its low activation force and tactile feedback. Scissor switches are most commonly used in laptops because of their super-low profile. 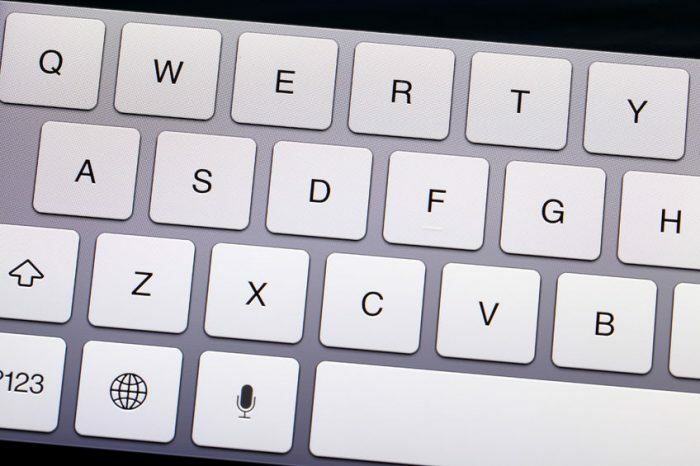 If you’ve typed on a late model Macbook with “chiclet keys”, then you’ve used scissor switches. When you depress a key, two opposing cross-arms that comprise the “scissor” mechanism compress the rubber dome and bring two conductive plates in contact to register the key press. Scissor-switch keyboards typically have a shorter key “travel” than membrane keyboards. Mechanical keyboards are considered to be the cream-of-the-crop when it comes to typing feel, precision, and durability. Mechanical keyboards have been mainstays in the high-performance gaming market for decades but have only recently become a priority for professionals, both at home and in the office. 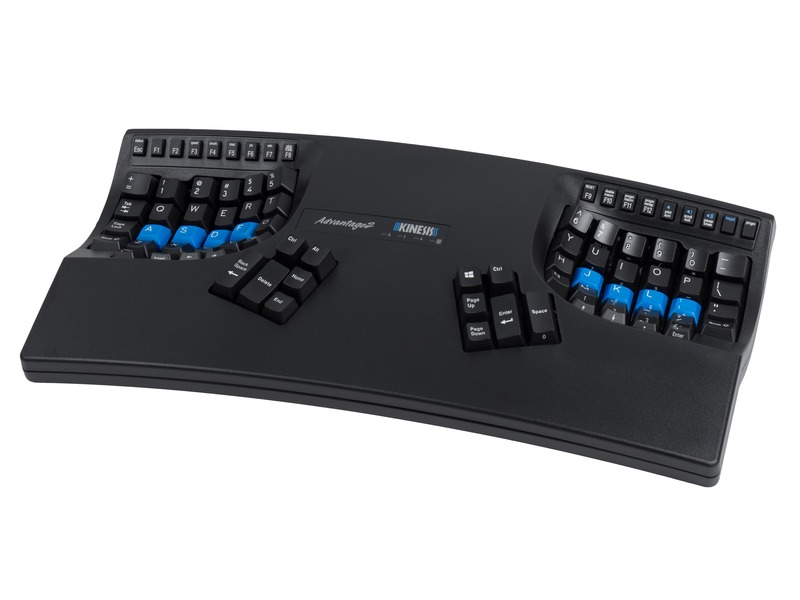 Kinesis has been making mechanical ergonomic keyboards since 1992. Our Advantage2 and Freestyle Pro represent professional-grade ergonomic features and premium mechanical key switches rated for 50 million keystrokes. Under each keycap is an individual spring-loaded, mechanical switch. When the switch is depressed against the spring, an electronic contact is registered as a key press. Within the mechanical switch genre, there are several different brands of switches which utilize slightly different mechanical mechanisms. What’s notable about mechanical switches is manufacturers can create very different typing experiences by varying the spring. 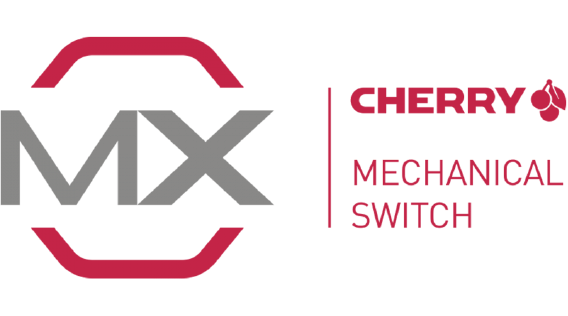 Cherry Corporation has long been considered the gold standard for mechanical switch manufacturers with their popular “MX Stem” design. Cherry MX switches are used in more than 60M keyboards worldwide and are the choice for many leading keyboard manufacturers. Cherry is known for creating a whole lineup of different color-coded switches designed to appeal to different typists for various applications. Cherry MX Brown– The most popular variant of the MX which is great for both typing and gaming. Cherry MX Red– A popular switch because of its smooth, fast feel. Cherry MX Blue– The most polarizing of all the switches because of its signature “click-clack” noise. Cherry MX Black– While some typists enjoy the firmer feel of the Black switches, this switch is best for industrial and point-of-sale applications where fatigue is less of a consideration. Cherry MX Silver– Silver “Speed” switches were designed specifically for gaming applications as a short-travel, quick-rebound variant of the popular Red switch. Our flagship Advantage2 keyboard and versatile Freestyle Pro keyboard are offered with the popular Cherry MX Brown switch. 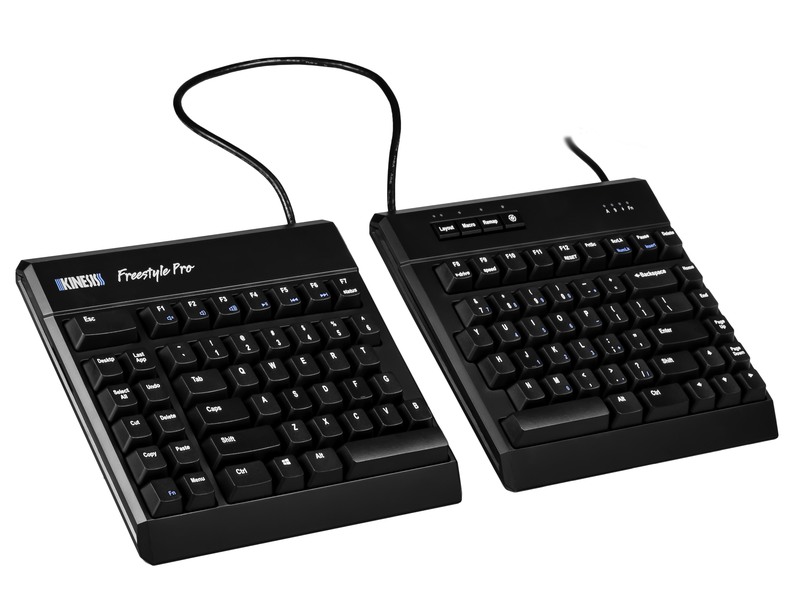 The new Advantage2 Quiet LF and Freestyle Pro Quiet use the MX Quiet Red switch. Both switches are low-force, full travel switches to reduce finger fatigue and impact. The Brown switches are preferred by many ergonomists because the tactile feedback discourages bottoming-out. The Quiet Red switches are a great option for those who prefer a quieter alternative to a conventional mechanical keyboard. Which mechanical switch should I get on my Kinesis keyboard? If you have never used a mechanical keyboard before you will likely find the typing feel of the Brown and Red switches are very similar. Both switches have a low activation force and great typing feel. The Quiet Reds are ideal for an office environment because they have built-in sound dampeners which eliminate most of the noise typically associated with mechanical key switches. Cherry also makes a “half-sized” mechanical switch called the ML. The Cherry ML offers similar properties to the MX switches, but for smaller key applications. 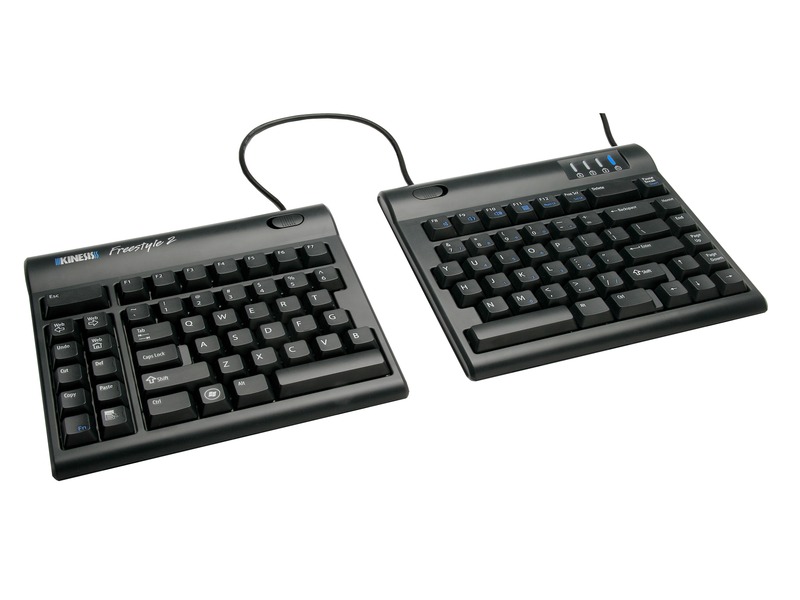 Kinesis uses Cherry ML mechanical switches in the function row of the Advantage2 for feel, reliability, and durability. Cherry’s latest offering is a low-profile version of their MX switch. As of 2018, Cherry only offered the Red and Silver style switches in the low-profile design. As a short-travel switch, these switches are better suited for gaming rather than ergonomics. Cherry style switches are not the only options on the market. Other premium brands include and Topre, Alps and a new optomechanical switch developed by Razer for gaming applications. Mechanical keyboards cost more than their membrane counterparts, but when you realize how long they can last it’s a pretty good investment. To keep your mechanical keyboard performing at its peak for the long haul, we recommend periodically cleaning the keyboard to remove dust, crumbs and any other debris that may have accumulated. The Advantage2 keyboard, in particular, tends to collect debris because of its concave key wells. Turn the keyboard over a trash can and shake out any loose debris. Use compressed air to blow out anything that might be lodged between the key switches. Inspect the keyboard for any foreign objects or sticky substances that could lead to problems down the road. Wipe the surface of the keyboard and keycaps down with a mild solvent like diluted (50:50) isopropyl alcohol using a microfiber cloth. Gently remove all keycaps. If you don’t have a keycap puller tool, you can purchase one here or use a bent a paper clip. Using a cotton swab, brush or other soft-tipped implement, clean in between the key switches removing any debris. If there is sticky residue, use a cotton swab moistened with rubbing alcohol to remove it. Soak the keycaps in warm water and dish soap for 20 minutes. Remove the keycaps from the soak and lightly rub each one to remove any persistent dirt and grime. Set the keycaps aside overnight to dry thoroughly before reinstalling. Important note: installing wet keycaps can damage the keyboard. If you’re using a Kinesis Advantage2 or Freestyle2 keyboard, consider replacing your Palm Pads each year to keep things fresh and clean. One common concern we hear about mechanical keyboards is that they are noisier than membrane keyboards. And that’s absolutely true, especially if you work in an office environment. Cherry makes two types of switches, “clicky” (like the MX Blue) and “non-clicky” (like Cherry MX Red and MX Brown). If you’re coming from a membrane keyboard, even the non-clicky mechanical switches can be very noisy. One technique to make your mechanical keyboard quieter is to install a set of rubber o-ring “dampeners”. The rubber o-ring sits underneath the keycap on top of the stem to basically act as a shock absorber and prevent you from bottoming out on the switch. O-ring dampeners are available from our friends at WASD keyboards on Amazon.